CHD Awareness Week: A Recap | Half Heart. Whole Life. 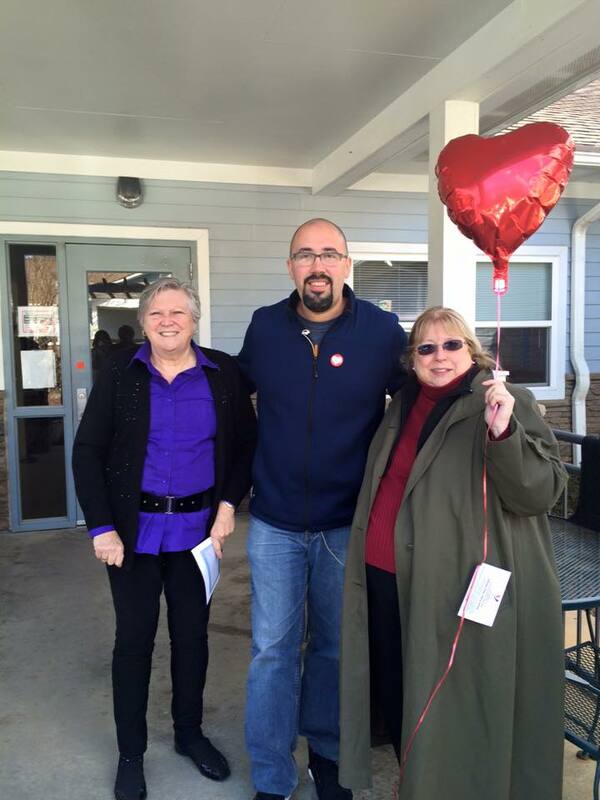 At each location I would leave behind information about Congenital Heart Defects. So after coming up with a plan and coming up with all my stops, it was time to kick it off on the morning of February 10th, which was right in the middle of CHD Awareness Week. The first stop was to Nolan’s school: we wanted to bring some heart balloons and treats to his teachers to show them how much they really mean to us. There are not a lot of preschools lining up to take a kid with a heart defect AND a feeding tube. But they graciously took Nolan once they saw he so desperately wanted to be with his twin brother in school. And it’s been so great for him: he has learned a lot and his teacher is the BEST. 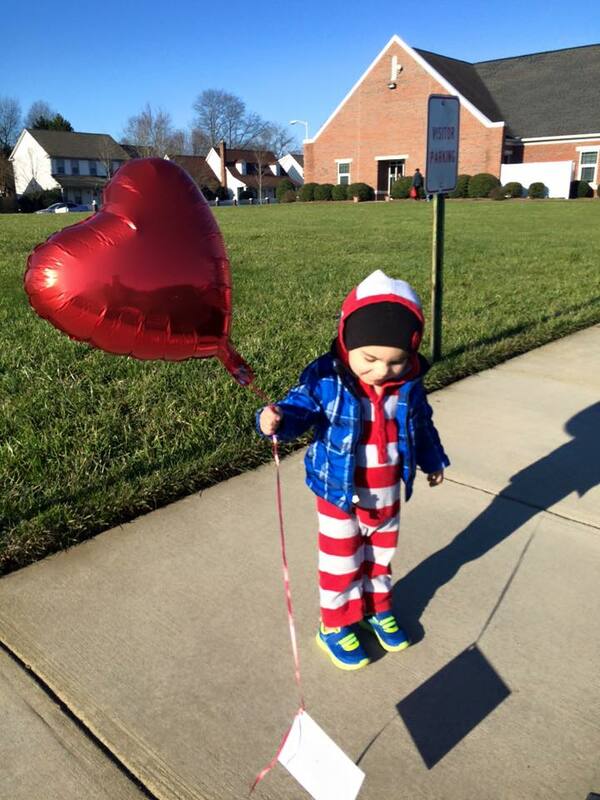 The visit went nicely and I think Nolan enjoyed giving out the balloons and CHD awareness info. And then we were off to the next stop! This stop was a lot of fun because we made some really cool sun catchers out of red and blue beads (CHD Awareness colors) to bring to the library so they can be displayed in their front window. We also donated a few books, including “My Brother Needs an Operation,” which is a CHD book that was donated by the super awesome Baby Hearts Press (please visit them here, and buy like 10 books!). Nolan loves books and was excited to bring some to their staff. Wanna know something wild? So while I was planning this particular stop, I was emailing the manager of the branch, who was very helpful but wasn’t there yet when we arrived. When I followed up with an email thanking him, he told me he also had heart surgeries in his youth, “with the scar to prove it.” How awesome is that? It’s amazing the connections you find out there! So we were doing well on time (I was trying to keep on a schedule) and everything was going quite smoothly. This stop, though, was one I was really unfamiliar with and ended up being one of the most touching. 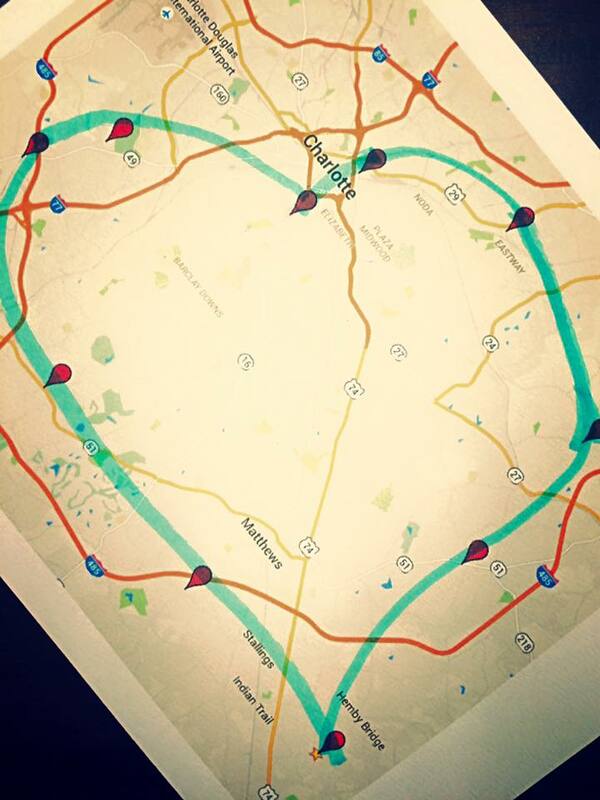 You see, when I came up with this plan of a heart-shaped map, I drew the heart first around the city then worked on figuring out what fell along that route. Sometimes that was easy, sometimes it wasn’t. In this case, my Google maps search found this church in Charlotte. I’ve never been there and to be honest I can’t recall ever even passing by it before. But I found out that they had a ministry called Room at the Inn, where during the colder months they bring the homeless in and give them a warm meal and a warm place to sleep before loading them up with more food and some toiletries. I offered to collect some toiletries for their program, which they were happy about. 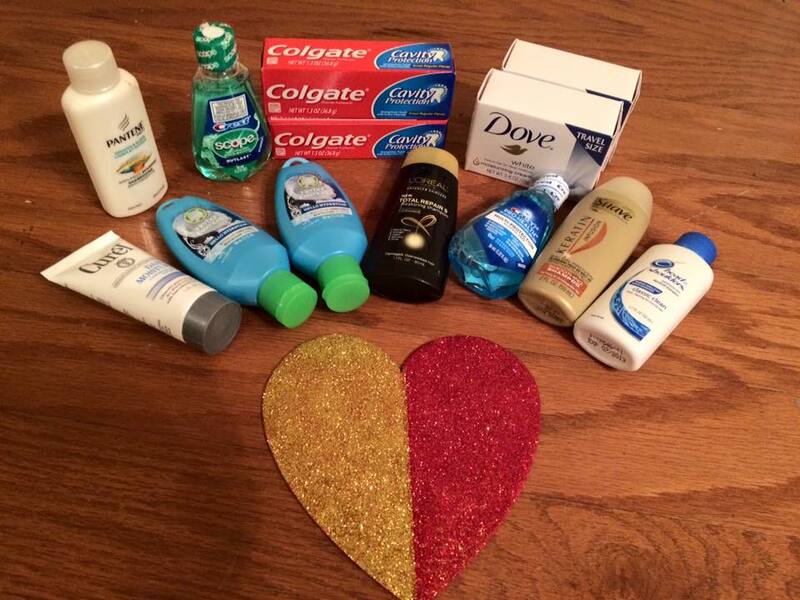 I collected these by hosting a pizza party at our house and having attendees bring some toiletries to be donated. So we ate good and we did good: thanks all my friends and neighbors! Anyways, while I was arranging this drop-off, the guy on the phone told me no one would be in the church office, but the lady who ran the church preschool would be there and to drop off the items with her. No problemo. When I arrived at the church, I was also greeted by a reporter from our local NBC affiliate, WCNC. He was really awesome and wanted to share our story and follow me around a little bit. Nolan thought that was awesome. I walked up to the preschool door and rang the bell: holding a big bag of toiletries, a toddler, and being followed by a cameraman. This was gonna freaking this lady out, I was sure of it. But when I explained to her what I was doing, she was overcome with emotion. Apparently she was just told “Some guy is dropping stuff off for the homeless” but she got no other info. Turns out a very good friend of hers in another state had a child very recently who was born with a CHD and just went through their first heart surgery. I totally didn’t expect this. We chatted for a bit and she got to see Nolan and how well he’s doing. At the end I gave her a big hug and thanked her, and she instead thanked me…she told me it was the best part of her week. I can’t express how touching this was…and how clear it is that CHDs affect us all! At this point I said goodbye to my wife and Nolan so they could head back home and get out of the cold. Off I went with the cameraman to more stops! They were so thankful for the items and I told them this, and I will forever believe it: I hope that those supplies can lead to a child somewhere in our community being VERY successful in school…and I hope that kid grows up, goes to med school, and finds the cure to CHDs. Wouldn’t that be amazing?! It sounds corny, but I truly hope and believe! To find out more about the amazing work of this group, click here. This was my final stop with the cameraman and he was a lot of fun to hang with. 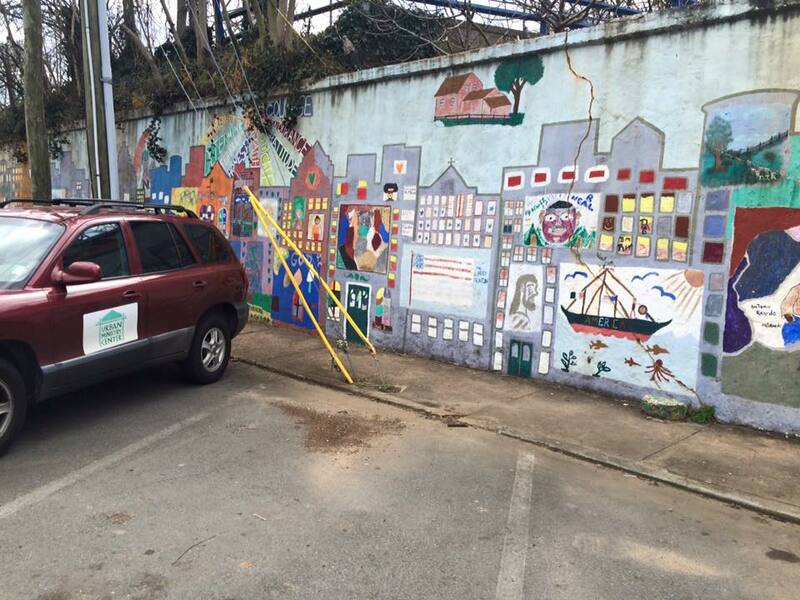 Urban Ministry Center is an amazing program that seeks to end homelessness in the Charlotte community by helping the needy find homes, providing food, helping with access to healthcare, and providing laundry and shower services. This day in particular was pretty freezing, even for Charlotte, so as you can imagine the line to get in this place was super long. My job for the hour was to work in the mail center, which I found interesting. They allow the homeless to use their location for a residential address, so they can apply for jobs, receive important mail, and even apply for a free government cell phone so they can call about jobs and schedule interviews. That’s pretty awesome and I never thought about how much power was tied to having an address. So I hung out there behind the desk and whenever a neighbor would come asking about his or her mail, I’d check their ID and see if there was anything waiting for them. Some people didn’t have anything and they were cool with that…some people had stacks of stuff…some people were upset because they were waiting on something. Nothing too out of the ordinary, though, and I really enjoyed my time there. There were SO many people waiting for a hot meal and for other services…it really made me focus on just how good I’ve got it in my life, even on my absolute worst day. I still have a place to sleep, food to eat, and clean clothes. We take so much for granted. To learn more about Urban Ministry Center, click here. You know there wasn’t any way I was doing all this and not giving back to the place that saved Nolan’s life, right? 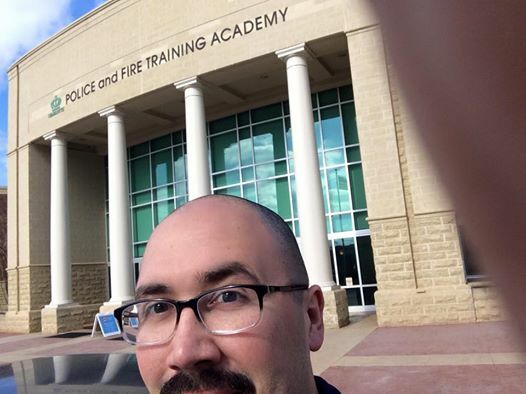 I always love going back to visit our “family” in the CVICU. As a visitor, of course. 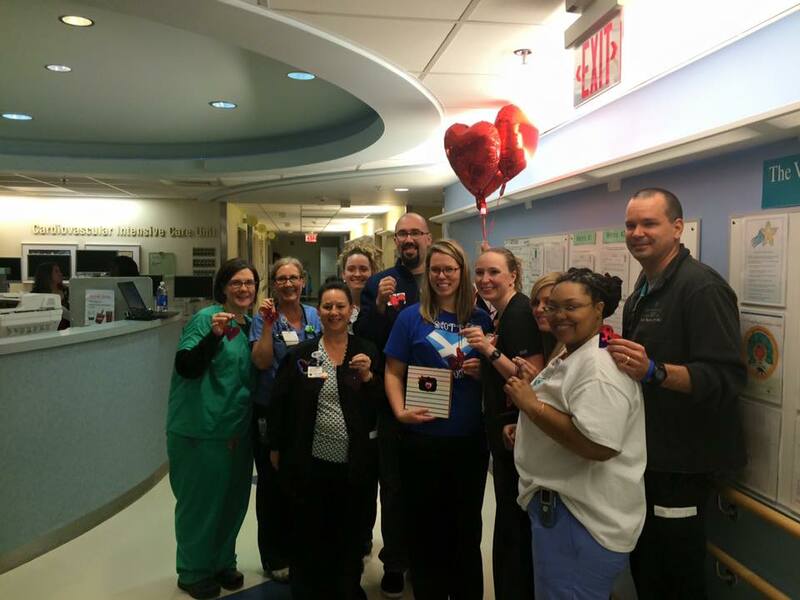 I brought the CVICU staff some more of those sun catchers as well as the heart balloons. But the big part of my visit was to present them with a very special book. In the days leading up to this, I reached out to heart families in our area whose kids were treated in that particular CVICU. I asked for stories, notes, and photos to be included in this book of thanks. The goal was for the book to be kept on the unit so that whenever the staff was having a hard day or was feeling down, they could flip through the pages and see the proof of their hard work and the many lives that were saved. It made me so happy to share this with the staff and I could tell they were genuinely touched by it. We wanted to provide something with real meaning for these folks, and I think we did well. It’s always crazy to be back on that unit and hear those familiar sounds. I told them Nolan and I would be back soon…but not for long. And that hopefully we’d never have to see them again (of course I meant that in the nicest way possible). Love you guys! At this point I realized I was starving like a BEAST. So after getting some grub, I was off to the next stop. And I had to hurry because I was a little bit behind schedule now. The receptionist in the lobby was so friendly and we spent time talking about Nolan and his journey. She said she was so happy someone came to do something nice for their team and that it would go a long way. She said she’d share Nolan’s story with everyone and their thoughts would be with him. Can’t ask for better than that, right? Stop #8: Someone’s About to Get Caffeinated! So this is the point where the stops became quicker and I don’t have any more photos, but they were still fun. At this stop I pulled into the drive thru at Starbucks and ordered for myself and then paid for the person behind me, leaving behind some CHD info. The barista at the window read over the little card I gave him and he was like, “This is really cool…my daughter works at the ICU at Levine Children’s”. Small world, right? This stop was kinda funny because I planned to buy someone’s lunch at Panera but didn’t exactly know how to execute the plan since when I got there I was the only person in line. Whoops. So I acted like I was pondering the menu…for a looooooong looooong time. Finally a man came in with his mom. That’s when I pounced: I ordered a gift card and then turned it around and handed it to the woman with the CHD info and said “Enjoy lunch: have a great day!” and left. She looked at me like I was NUTS. And yes, I am. I ended up getting a very nice email from that gentleman about a week or so later. It was really cool of him to reach out to me! While Cardiologists get all the fame and the glory, I wanted to take some time on this day and recognize Nolan’s pediatrician, who is an amazing doctor…and an amazing human being. Seriously, Dr. Prosser makes sure that there’s always an extra nurse available to help when my wife visits and so she won’t have to wrestle all 3 kids during the whole visit. She’s super flexible and kind and makes us feel welcome and like we’re family. So we brought her and her staff some flowers and balloons and cupcakes. A very sweet ending to the day! I was thankful for the opportunity to take a day off work and run around the city doing fun, nice things for people. It’s grounding for me to know that there’s so much need and so many great people doing hard work to meet those needs. Puts my struggles into perspective for sure. Plus I was able to spread the word about Congenital Heart Defects, and I know deep down inside that will make an impact too. What will CHD Awareness Week in 2017 hold? I have no idea, it’s too early for that. 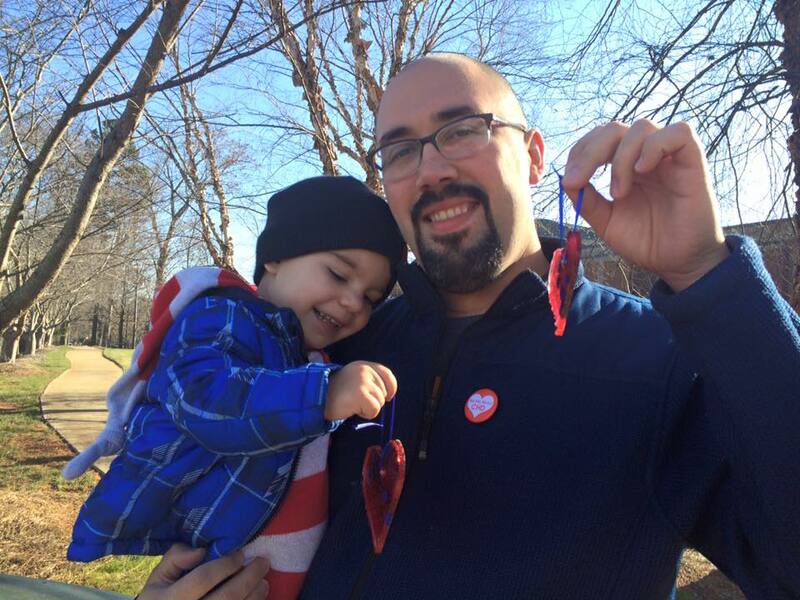 So in the meantime, please check out the WCNC story on my CHD Awareness Project: Charlotte Dad Honors Son. Posted on April 4, 2016, in awareness and tagged #CHDaware, CHD, CHD Awareness Week, congenital heart defect, CVICU, HLHS, hypoplastic left heart syndrome, Levine Children's Hospital. Bookmark the permalink. Leave a comment.